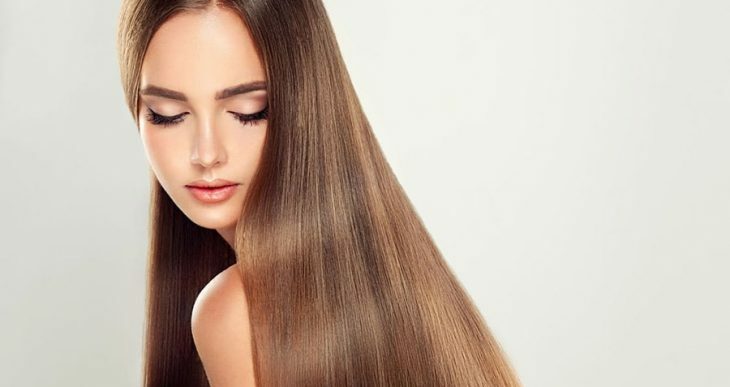 Smooth, shiny and soft hair is every girl’s dream. We often look for the key to our hair beauty in beauty products, not realizing that they are in our own kitchen. What we eat can have a major impact on our hair. The Purewow website presents products that you have to add to your diet to have healthy hair. As strands of hair are made up of protein fiber, it only makes sense that for healthy hair, protein has to be a part of your diet. Get your protein fix from animal products like meat, poultry and fish (or beans and legumes for vegetarians). Sure, you know them for their aphrodisiac qualities, but did you know that oysters are also a great source of zinc? The zinc found in oysters keeps the hair glands that produce sebum working, preventing the hair from becoming dry and brittle. Ever wonder why so many fancy shampoos and conditioners list “almond oil” in their ingredients? Our favorite snack is a great source of vitamins and nutrients. A quarter cup of almonds will give you almost half of your recommended intake of vitamin E and manganese, both of which can promote hair growth. This juicy fruit isn’t just good for your immune system—it also boosts your hair and skin. Vitamin C helps the body produce more collagen, while vitamin A helps the hair stay hydrated by increasing the production of sebum. No surprises here — this leafy green contains iron (great for hair strength) and zinc (which keeps hair follicles strong). It’s also a good source of potassium and calcium, two more nutrients that work to keep your hair healthy. Whenever the body is constantly functioning with a calorie deficit and lacking essential vitamins and minerals, it really damages overall hair health, leaving it damaged for months after the diet is finished.